AAKAR Heights Wing A booking and expo will be starting from April 7, Gudipadwa. Aakar Heights is the flagship project of Aakar Construction Group and marketing of the project is being done by Shree Maratha Developers Pvt. Ltd. As a part of the special booking offer owners of the flat will be given Smart Secured Home . Aprt from this, saving on purchase of flat from Rs 1500 to Rs 5,000 is being offered. Aakar Heights township is coming up at Bahadura Fata, near Sanjuba High School, on Umrer Road. 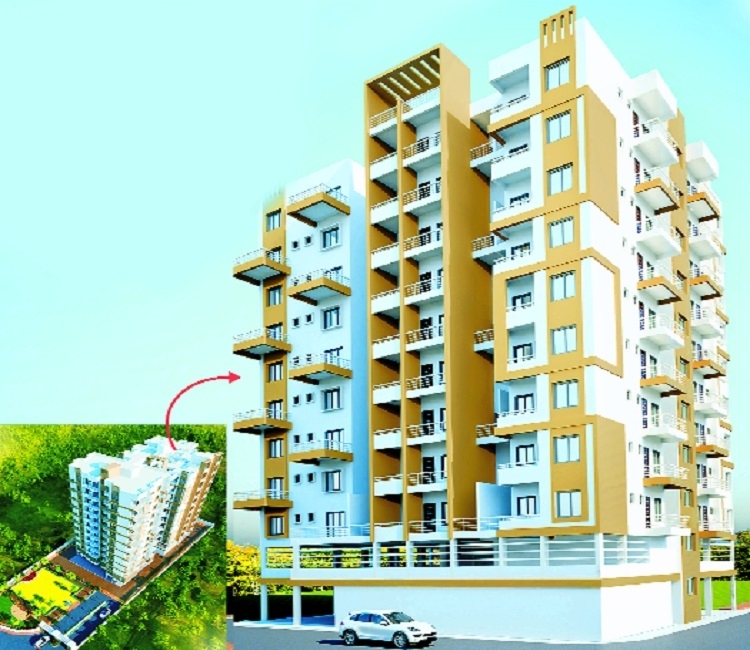 The price of 1 BHK is Rs 19,03,200. While 2 BHK flat is of 996 square feet super built up area, with a price tag starting from Rs 25,89,600. Aakar Heights project is registered under RERA and also sanctioned by NIT. Even customers can get the benefit of PMAY of Rs 2.67 lakh. Group Chairman Gajanan Sir and Tejshree Upadhaya has informed through a press release that the construction work is in full swing. The developers are taking full care of quality construction.